March 20, 2003 - As reported in [Reuters] news written by Jorge Silva - Caracas, Venezuela. 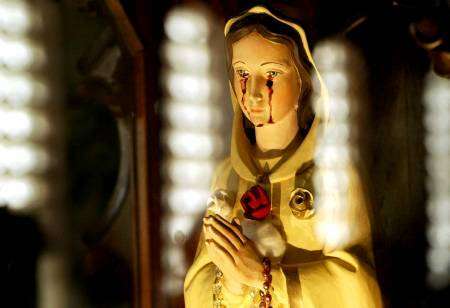 Hundreds of Venezuelan Catholics are flocking to a small chapel in Caracas where they say a Virgin Mary statue has been weeping tears of blood as a peaceful message against a looming U.S. led war with Iraq. Worshipers have lined up to catch a glimpse of the small Mary Mystic Rose statue at Belen College in eastern Caracas. 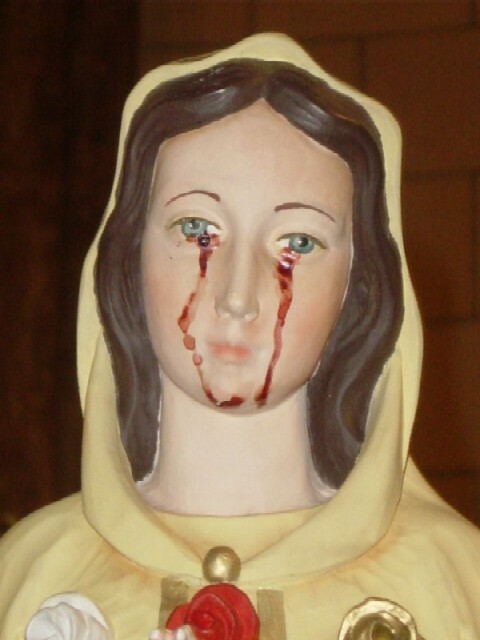 Tracks of red stains mark the cheeks of the blue-eyed statue, which resides in an ornate wood-and-glass case inside the school's chapel. 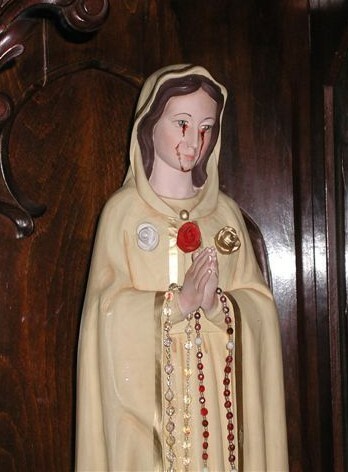 Workers at the school run by nuns said the statue had bled from its eyes since Monday morning and again more heavily Wednesday in what they saw as a message of peace. "They started oozing blood all at once. It was really an amazing sight," said Sister Maritza, who is a member of the Servants of Jesus religious order at the college. "We cannot guess at the plans of God, but obviously it is a call to avoid a war." She said the statue had arrived in Venezuela from Germany about three years ago and had been carried in processions throughout the predominantly Catholic South American nation.